So what is MD Guided Content Marketing and how can it help you and your brand? MD Guided Inbound Marketing takes place when health experts and MDs engage with patients, fans and brands to promote positive behavior change. The goal in expert guided inbound marketing is to expertize and elevate the integrity of your campaigns for maximum impact. Quickly identify market insights, opportunities and challenges. Present content in a way that immediately conveys what the brand offers to HCPs and patients. Gain the most credible, evidence-driven resources to spread the word about your campaign across all media. 1, Your health content must be remarkable enough to break through the clutter. Think about how many channels you have on your television, and how many websites and social media channels compete for your attention each day. The same is true for patients and physicians. It’s not enough to just produce health content. Your content must educate, inspire or entertain your audiences. Don’t talk about your brand non-stop or try to sell patients too early or often in your content. Instead, try to spark interesting dialogue and discussion with your content utilizing KOLs as master curators.. Doing so will pay off with attention and engagement. 2. Think of your 3rd party patient website as a hub, not a megaphone. Far too many pharma brands think about their websites as broadcast channels for addressing a large group of patient populations. Your website functions best when its content and design are built with a an expert-guided touch. Instead of writing copy to impress promote your brand or repeat the same old wikipedia like content about a disease state, create copy and experiences an individual patient or caregiver will seek and share with their phyisican that sparks conversation. Nothing sparks conversation like breaking health news, which is why having real-time conten curation and 3rd party MD guided commentary is key. 3. 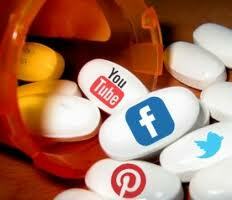 Pharma Inbound Marketing must includes content and calls-to-actions. Many phrma agencies and brands mistake massive volumes of health content for an inbound strategy, forgetting that gated-landing pages with actionable content is indispensable as well. Specifically, tools such as Hubspot are powerful in converting web traffic into highly engaged patient and HCP leads. 4. Master the call to action. Think about how hard you work to get traffic to your site. Now think of what happens if a patient or doctor comes to your site and doesn’t know where to go or what to do next once they visit. You’ve just wasted all of your hard efforts! Your call to action is a sign post showing your visitors where they should go next. If a prescriber or patient came to your blog first, you want to make it easy and seamless for them to subscribe to read similar articles. If a visitor comes from a co-marketing initiative with a 3rd party health content partner, ensure the copy on the site is built specifically to appeal to someone who knows both your brands. Tailor the next step accordingly. It’s not enough to optimize your site for search. You have to optimize your site for action to promote positive behavior change. 5. Get visual. The average attention span is just 8 seconds, so even if you want to write a 10,000-word piece on your new product launch, chances are slim that your audience will get through it. When it comes to health content, a photo (or video) really is worth 1,000 words and scripts.